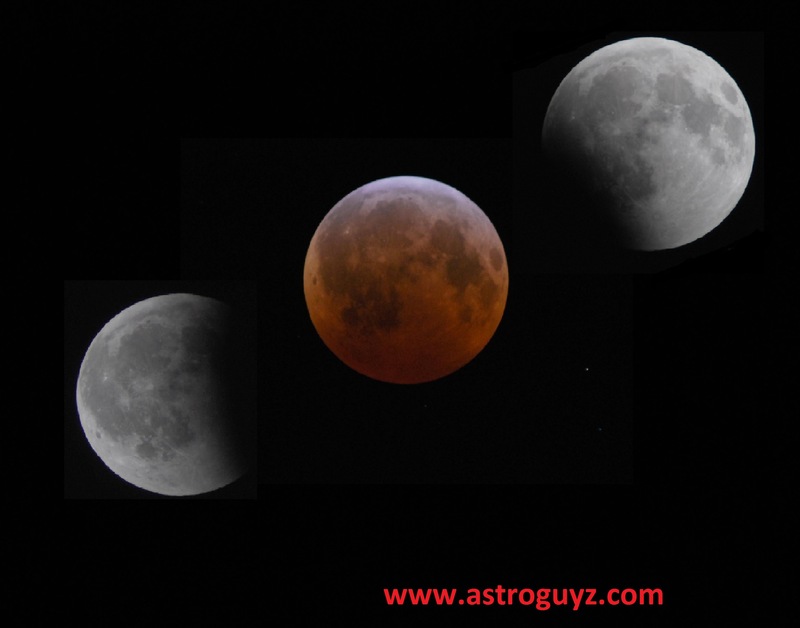 The Supermoon Total Lunar Eclipse of September 27-28 2015 from Michael Zeiler on Vimeo. The Specifics: First, you almost couldn’t ask for better timing. This weekend’s total lunar eclipse occurs during prime time Sunday night for North and South America, and early Monday morning for Europe, Africa and most of the Middle East. This means the Atlantic Region and surrounding areas will see totality in its entirety. This eclipse occurs very near the northward equinoctial point occupied by the Sun during the Northern Hemisphere Spring equinox in March. The date says it all: this eclipse coincides with the Harvest Moon for 2015, falling just under five days after the September equinox. Does the perigee Moon effect the length of totality? It’s an interesting question. Several factors come into play that are worth considering for Sunday night’s eclipse. First, the Moon moves a bit faster near perigee as per Kepler’s second law of motion. Second, the Moon is a shade larger in apparent size, 34’ versus 29’ near apogee. Lastly, the conic section of the Earth’s shadow or umbra is a bit larger closer in; you can fit three Moons side-by-side across the umbra around 400,000 kilometers out from the Earth. Sunday night’s perigee occurs 65 minutes after Full Moon at 2:52 UT/10:52 PM EDT. Perigee Sunday night is 356,876 kilometers distant, the closest for 2015 by just 115 kilometers, and just under 500 kilometers short of the closest perigee that can occur. This is, however, the closest perigee time-wise to lunar totality for the 21st century; you have to go all the way back to 1897 to find one closer, at just four minutes apart. Eclipse season 2 of 2 for 2015 is nigh this weekend, book-ended by a partial solar eclipse on September 13th, and a total lunar eclipse on September 28th. First, the bad news. This weekend’s partial solar eclipse only touches down across the very southern tip of the African continent, Madagascar, a few remote stations in Antarctica, and a few wind-swept islands in the southern Indian Ocean. More than likely, the only views afforded humanity by Sunday’s partial solar eclipse will come out of South Africa, where the eclipse will be about 40% partial around 5:30 Universal Time (UT). It’s the curious circumstances surrounding the September 13th eclipse that conspire to hide it from the majority of humanity. First, the Moon reaches its ascending node along the plane of the ecliptic at 4:38 UT on Monday, September 14th, nearly 22 hours after New phase. The umbra, or dark inner core of the shadow of Earth’s Moon ‘misses’ the Earth, passing about 380 kilometres or 230 miles above the South Pole. The outer penumbra of the Moon’s shadow just brushes the planet Earth, assuring a 79% maximum obscuration of the Sun over Antarctica around 6:55 UT. Second, the Moon also reaches its most distant apogee for 2015 on September 14th at 11:29 UT, 406,465 kilometers from the Earth. This is just over 28 hours after New, assuring that the umbra of the Moon falls 25,000 kilometres short of striking the Earth. The eclipse would be an annular one, even if we were in line to see it. Observers will see the eclipse begin at sunrise over South Africa and the Kalahari Desert, great for photography and catching the eclipse along with foreground objects. Observers will need to follow solar observing safety protocols during all stages of the eclipse. A high value neutral density filter will bring out the silhouette of foreground objects while preserving the image of the partially eclipsed Sun, but remember that such a filter is for photographic use only. P1, or the first contact of the Moon’s penumbra with the Earth occurs on the morning of the 13th over the Angola/South Africa border at 4:41 UT, and the shadow footprint races across the southern Indian Ocean to depart Earth near the Antarctic coast (P4) at 09:06 UT. New Moon occurs on September 13th at 6:43 UT, marking the start of lunation 1147. Missing out on the eclipse? The good folks over at Slooh have got you covered, with a live webcast set to start at 4:30 UT/12:30 AM EDT. Planning an ad-hoc webcast of your own from the eclipse viewing zone? Let us know! The European Space Agency’s Proba-2 will see eclipses on the following passes – 5:01 UT (partial)/6:31 UT (annular) 8:00 UT (partial). And JAXA’s Hinode mission will see the same at the following times: 5:56 UT (Partial)/7:46 UT (partial). Unfortunately, there are no good circumstances for an ISS transit this time around, as the ISS never passes far enough south in its orbit. Looking for more? You can always participate in the exciting pastime of slender moonspotting within 24 hours post or prior to the New Moon worldwide. This feat of extreme visual athletics favors the morning of Saturday, September 12th to sight the slim waning crescent Moon the morning before the eclipse, or the evenings of September 13th and 14th, to spy the waxing crescent Moon on the evenings after. And this eclipse sets us up for the grand finale: the last total lunar eclipse of the ongoing tetrad on September 28th, visible from North America and Europe. And yes, the Moon will be near perigee to boot… expect Super/Blood Moon wackiness to ensue. Watch for our complete guide to the upcoming lunar eclipse, with observational tips, factoids, eclipse lunacy and more!